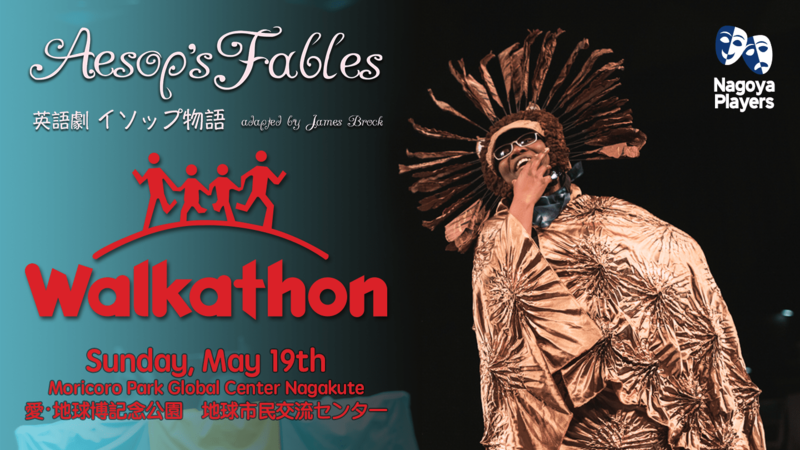 Nagoya Players is very excited to announce an encore performance of Aesop’s Fables at this year’s Chubu Walkathon International Charity Festival. There will be two performances during the day, approximately 20 minutes each, with selected scenes from the show. Nagoya Players is very honored to be a part of this amazing event. The Chubu Walkathon is now in it’s 28th year. Each year they have raised several million yen which is then donated to a host of charities to support Children in Need, People with Different Abilities, Hospital Patients and more. It is a day filled with games, great food, live entertainment, and of course plenty of exercise. Please join us at the Walkathon for a day of family-fun and support a good cause at the same time!